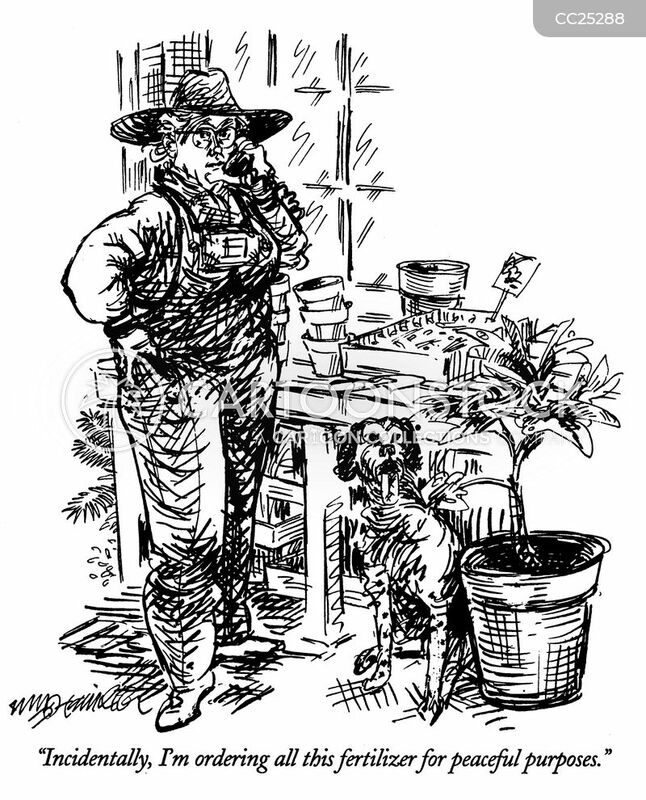 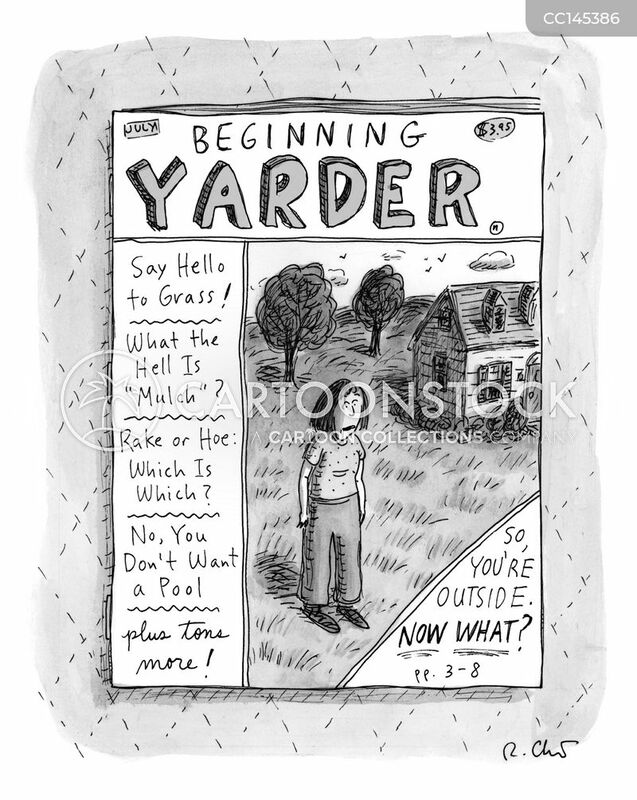 "Incidentally, I'm ordering all this fertilizer for peaceful purposes." 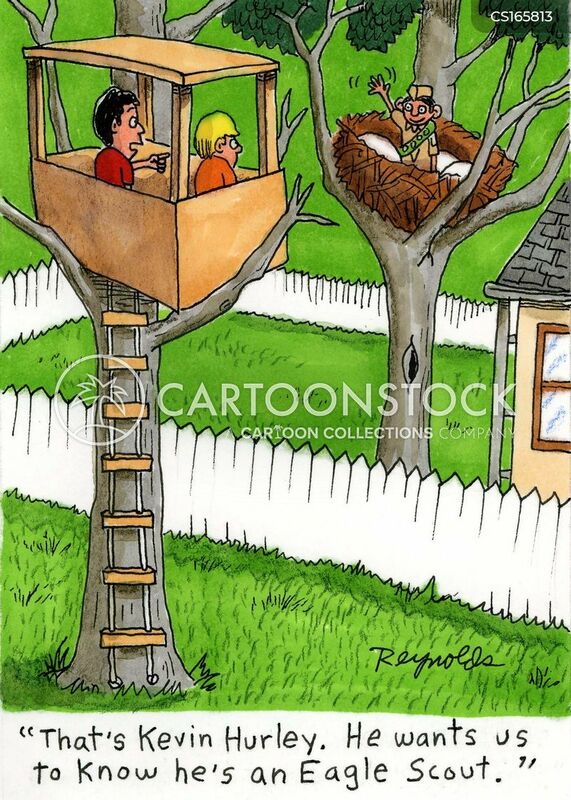 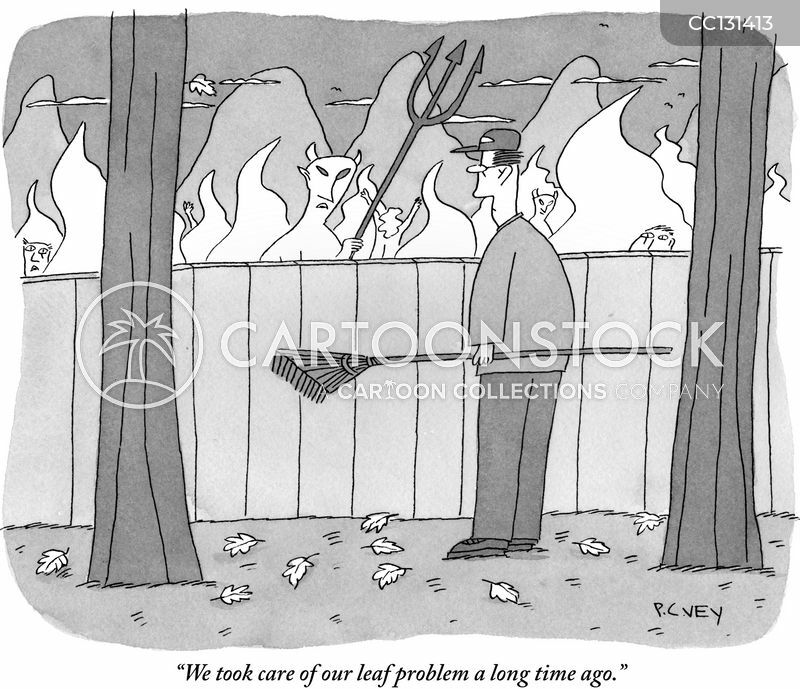 "We took care of our leaf problem a long time ago." 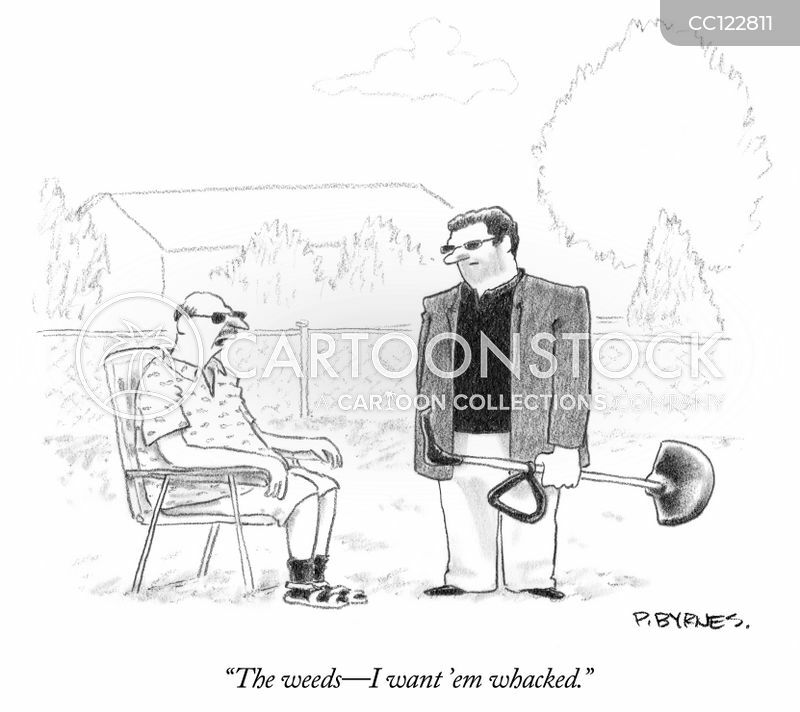 "The weeds - I want 'em whacked." 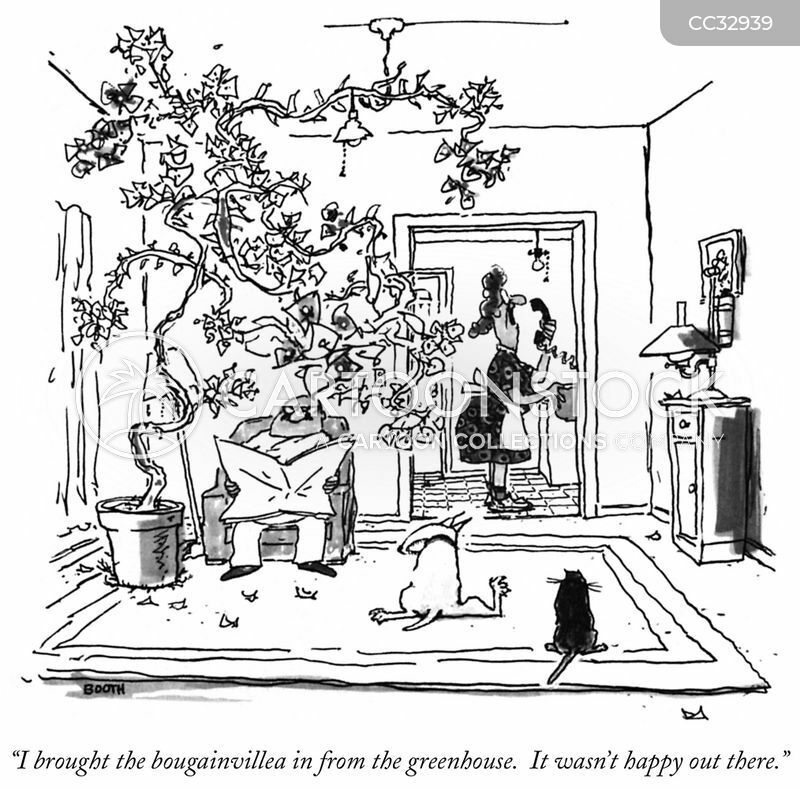 "I brought the bougainvillea in from the greenhouse. 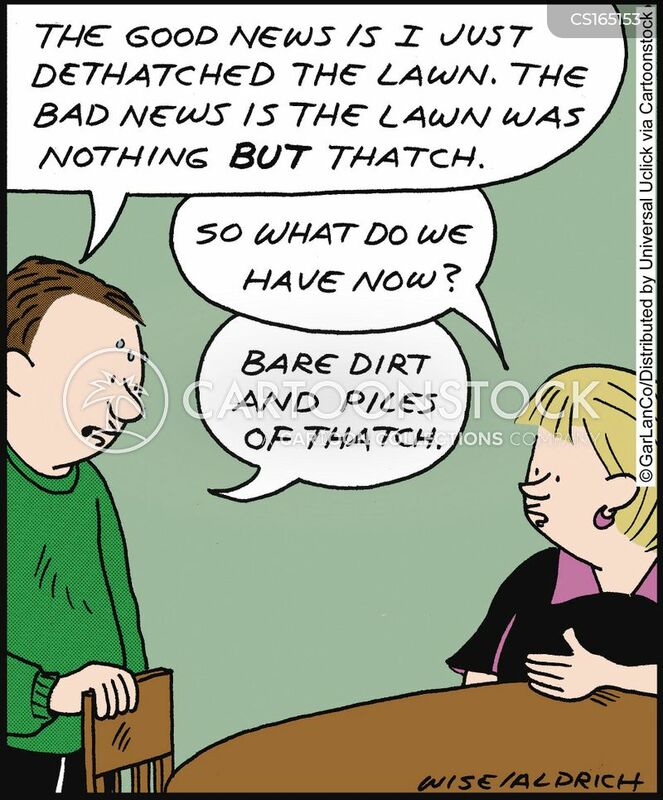 It wasn't happy out there." 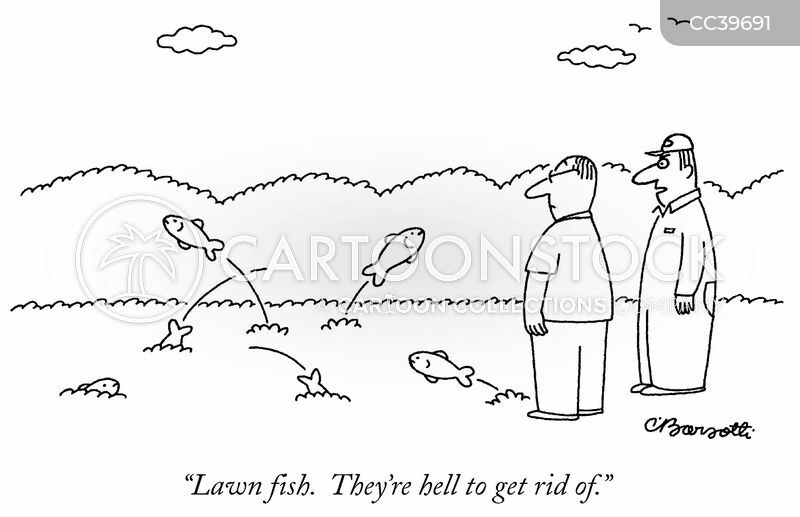 "Lawn fish. 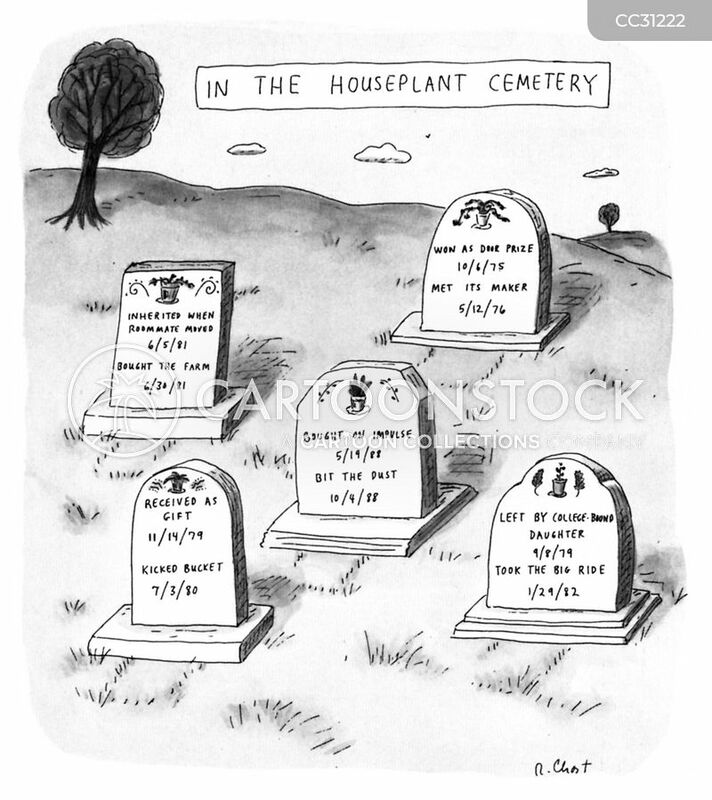 They're hell to get rid of." 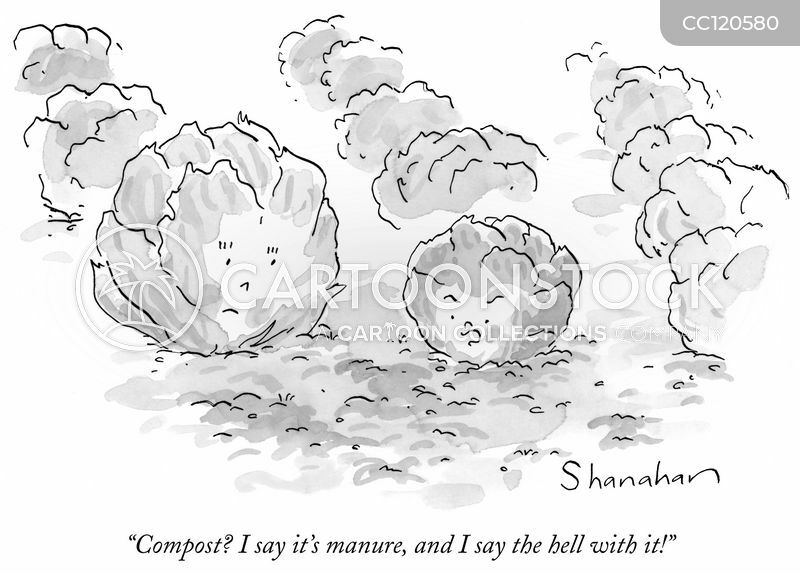 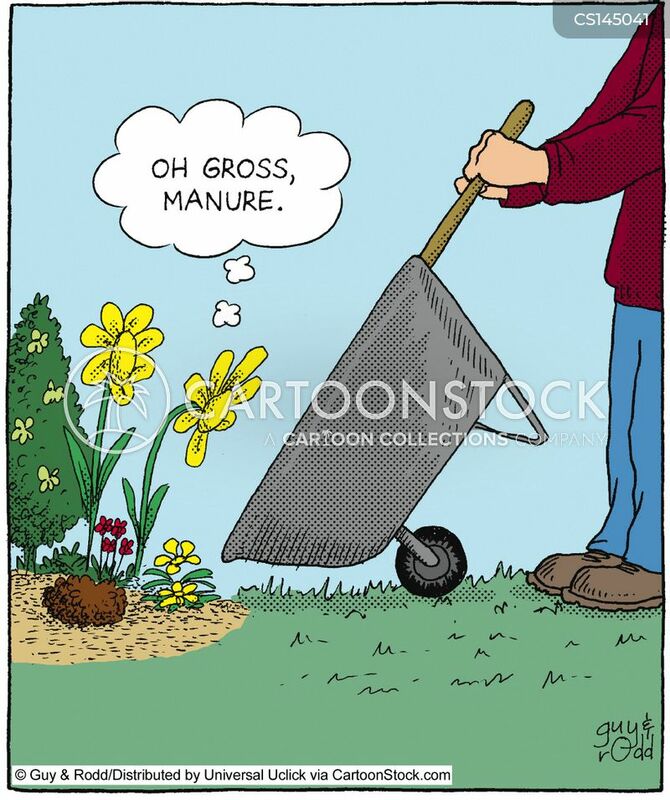 "Compost? 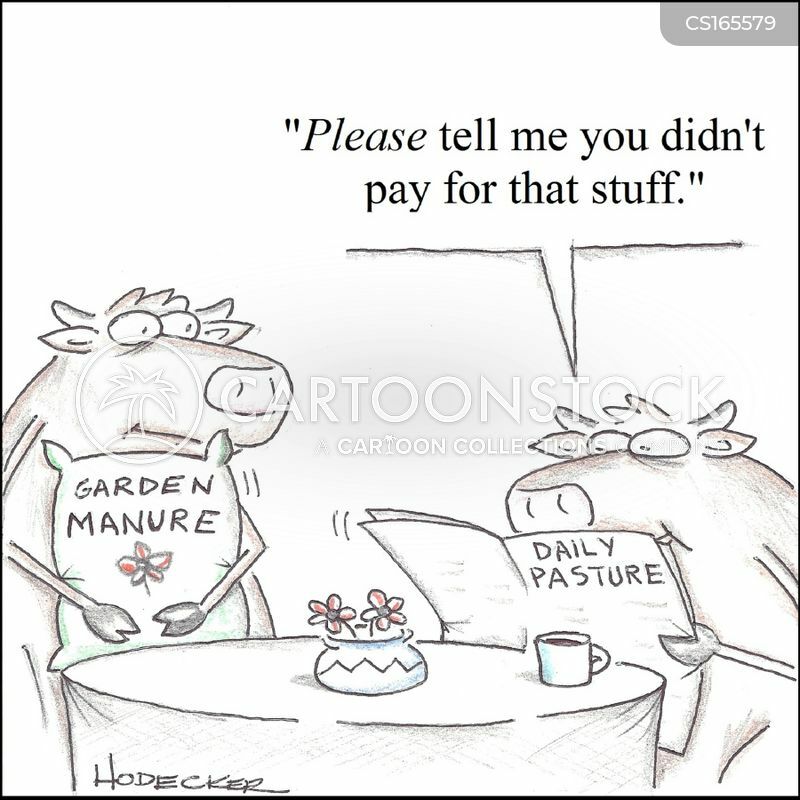 I say it's manure, and I say the hell with it!" 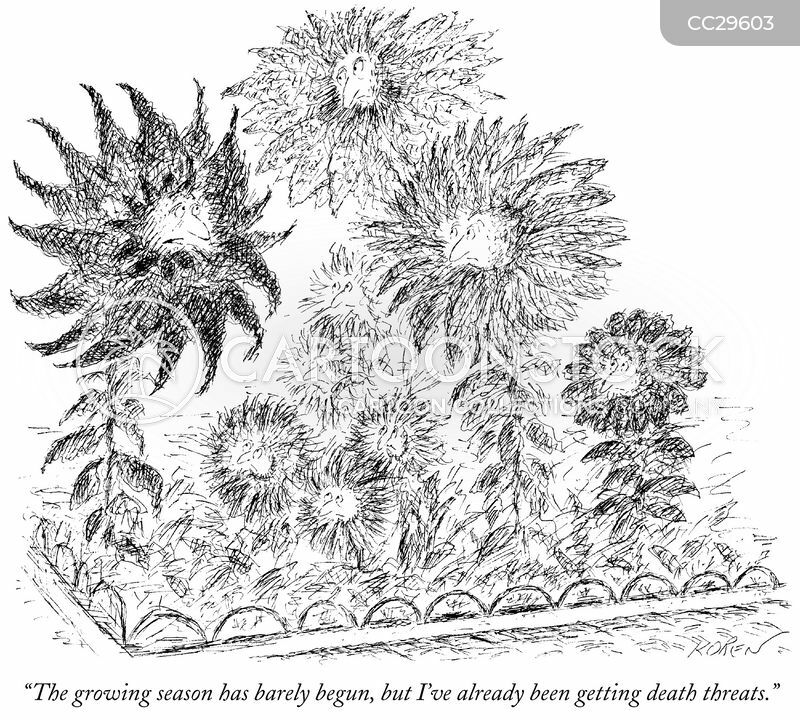 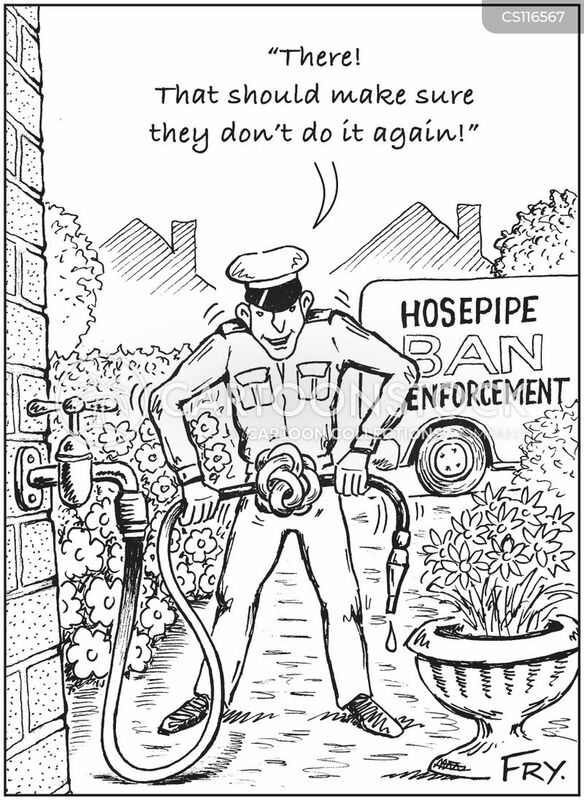 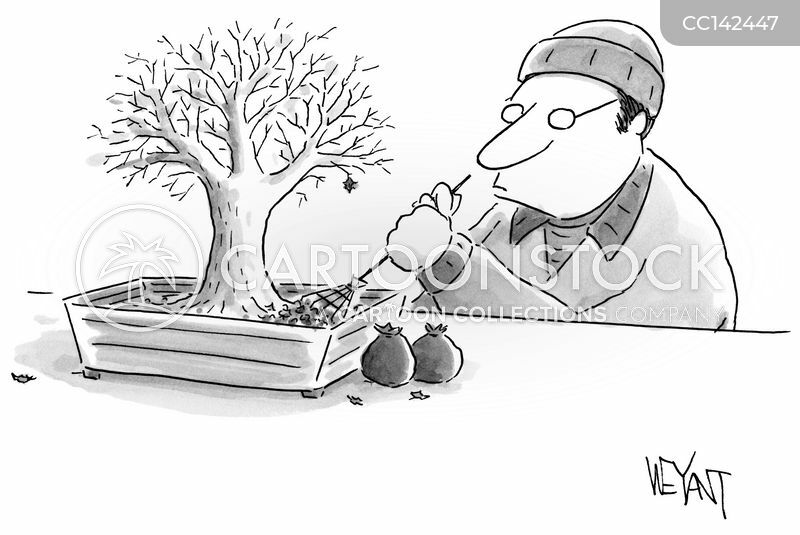 "The growing season has barely begun, but I've already been getting death threats." 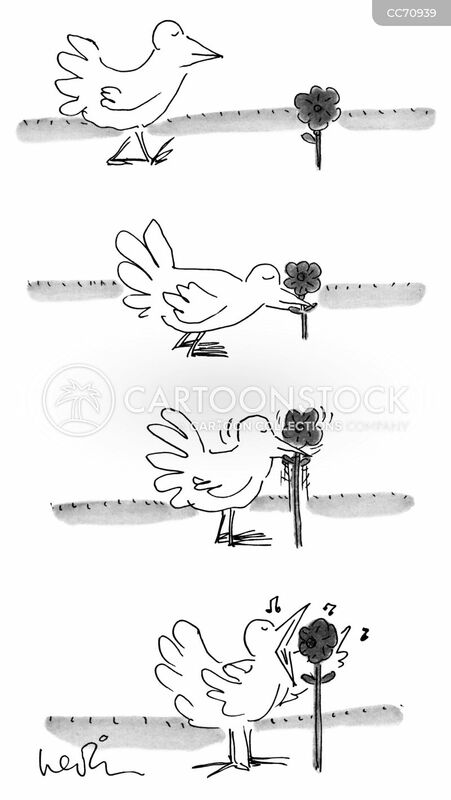 A bird pulls a flower out of the ground and sings into it as though it is a microphone. 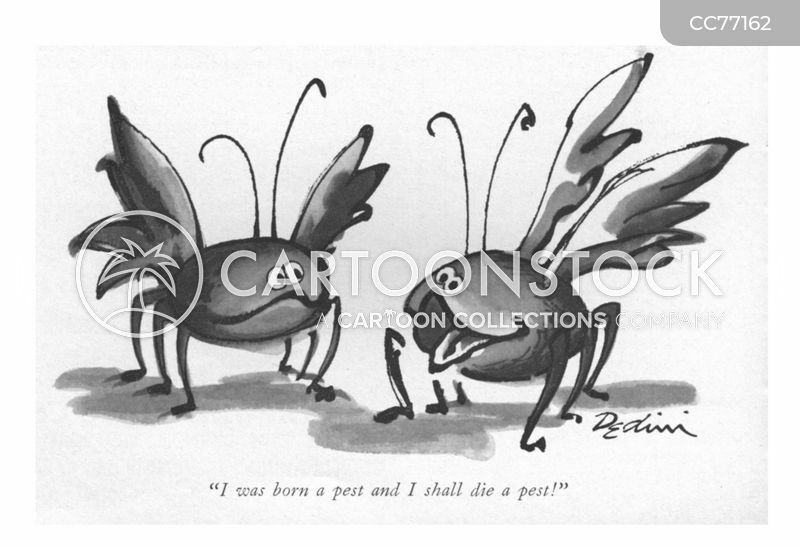 "I was born a pest and I shall die a pest!" 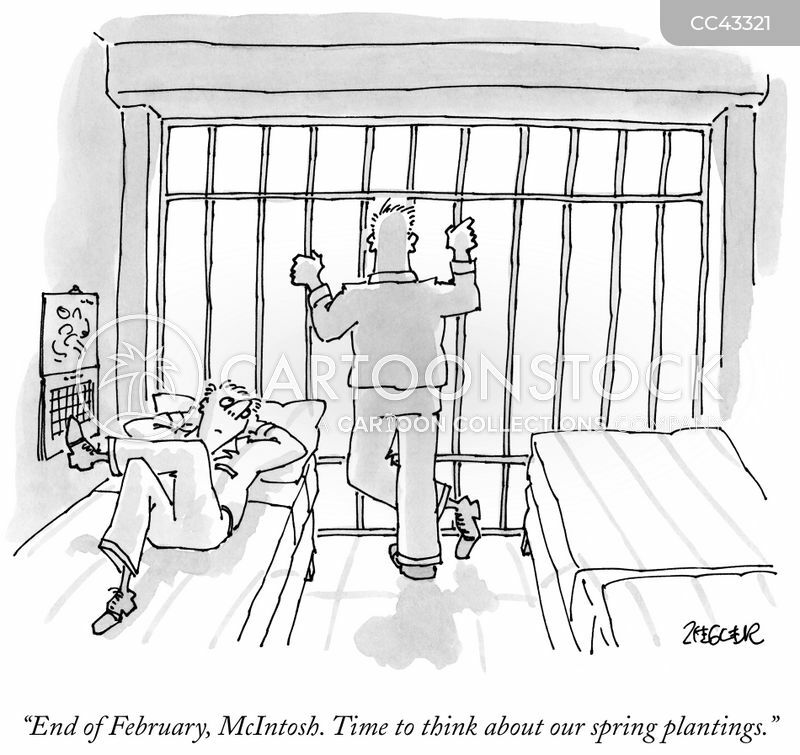 "End of February, McIntosh. 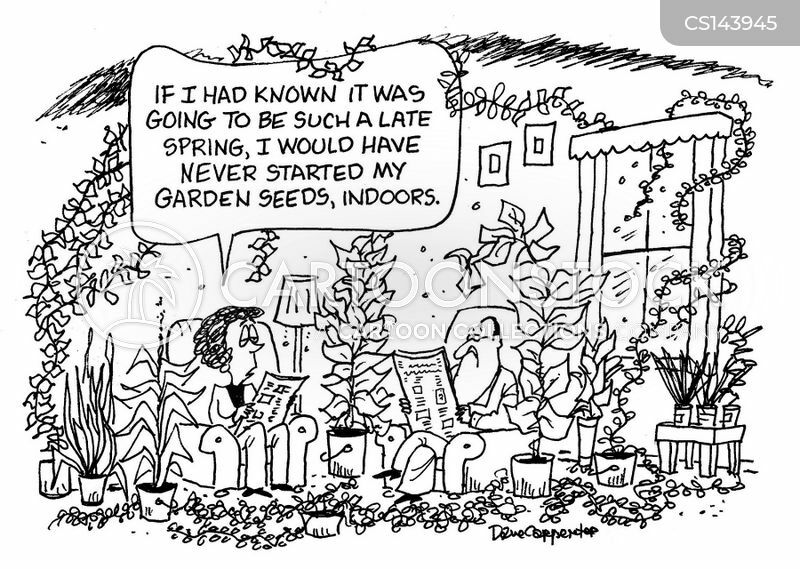 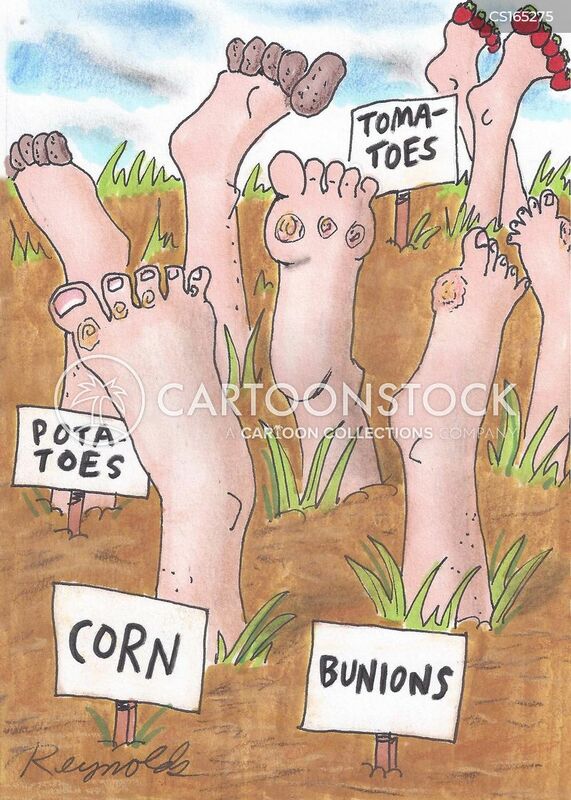 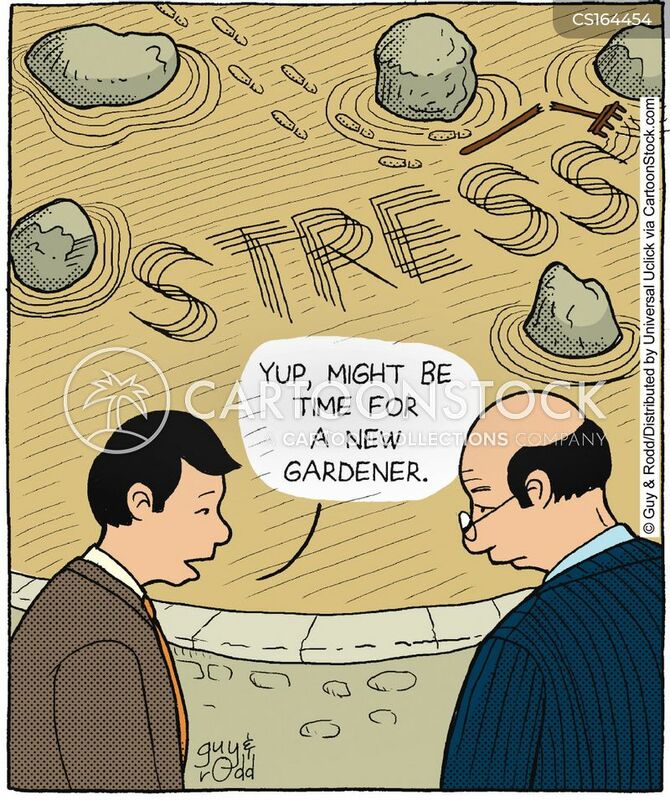 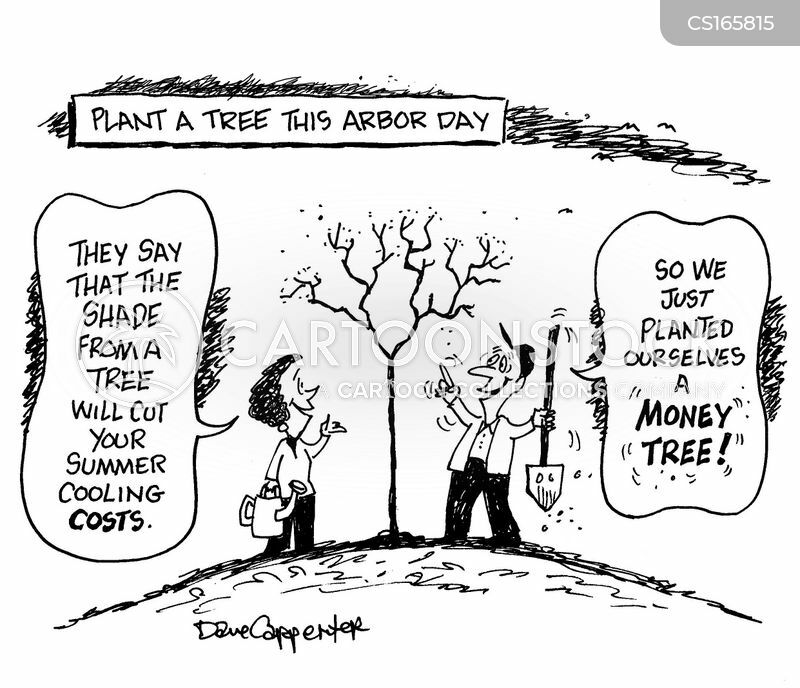 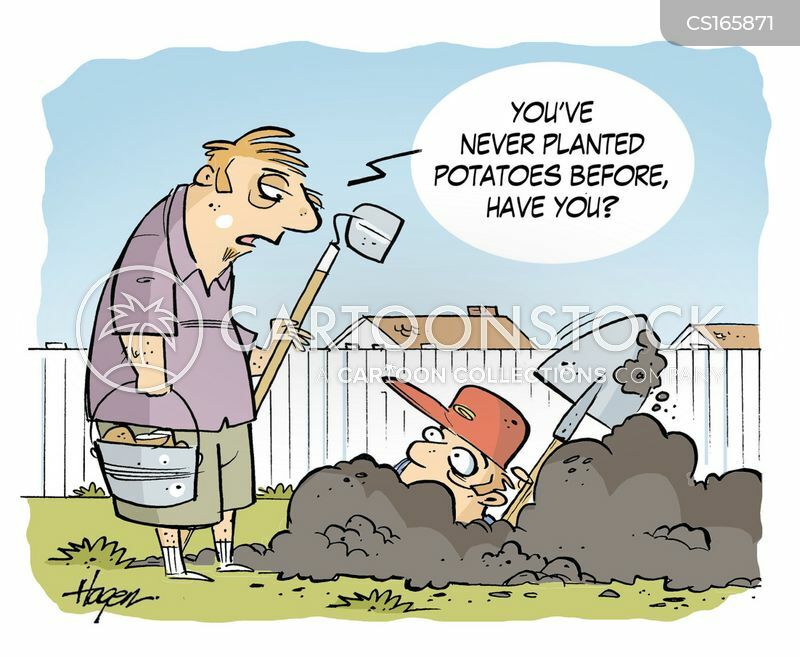 Time to think about our spring plantings." 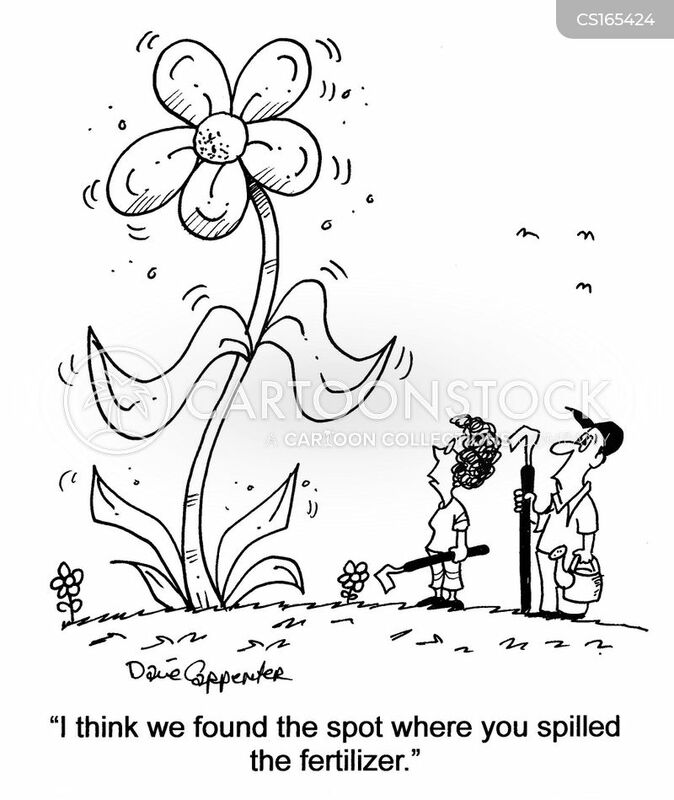 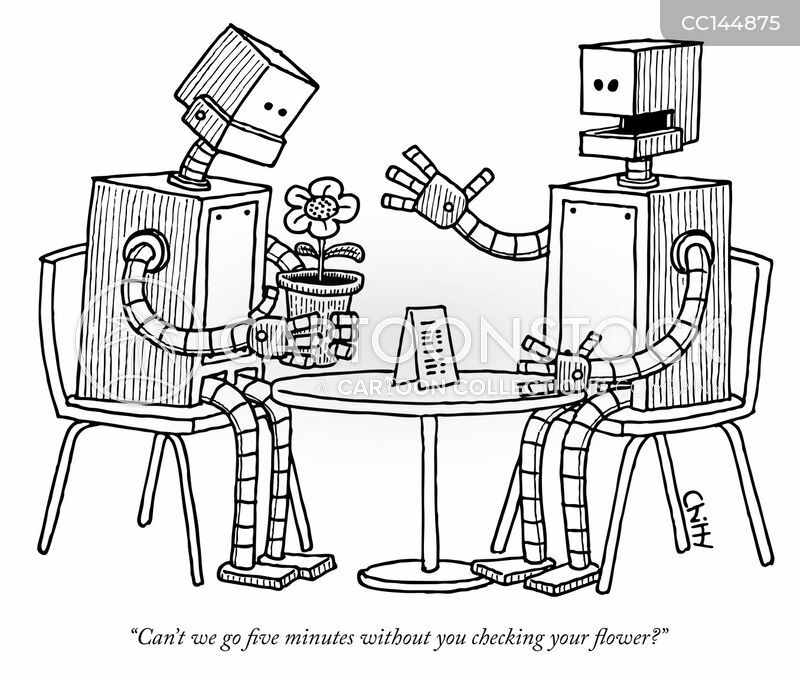 "Can't we go five minutes without you checking your flower?"